The Mongol armies that established the largest land empire in history, stretching across Asia and into eastern Europe, are imperfectly understood. Often they are viewed as screaming throngs of horsemen who swept over opponents by sheer force of numbers rather than as disciplined regiments that carried out planned and practiced maneuvers. In this pioneering book, Timothy May demonstrates that the Mongol military developed from a tribal levy into a complex military organization. He describes the make-up of the Mongol army from its inception to the demise of the Mongol empire, and he shows how it was the strength, quality and versatility of Mongol military organization that made them the pre-eminent warriors of their time. Dr Timothy May is Associate Dean of the College of Arts & Letters at the University of North Georgia. He is a leading specialist in the Mongol empire and nomadic empires in general. His research and publishing focuses on the Mongol conquest of the Middle East, imperial institutions and religious conversion. 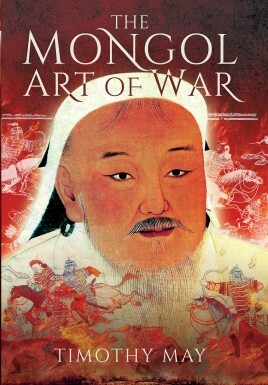 His publications include The Mongol Conquests in World History and Culture and Customs of Mongolia.